Learn about drip irrigation and its many benefits by participating in this important water wise class. 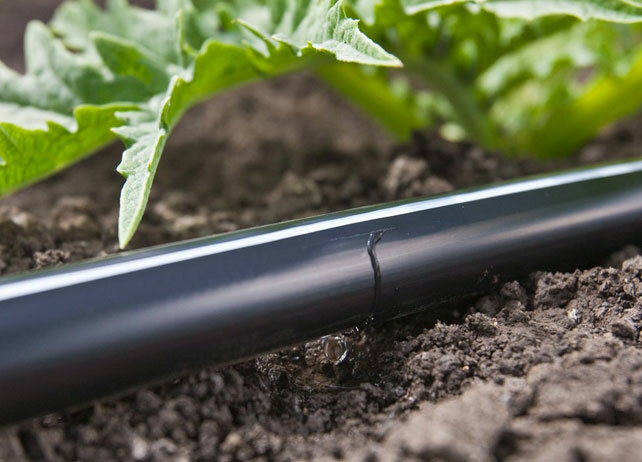 Learn why drip irrigation is the most efficient method to use and what equipment is readily available and easy to install. By using drip irrigation, homeowners may be exempt from water restrictions imposed during a drought. The irrigation benefits taught in this class will apply to any home gardener, whether you are watering flower beds, your foundation or vegetable plots. The class will offer examples of ways to design and install irrigation for a new landscape; how to convert an existing irrigation system; and, setting up an irrigation system that can attach to the garden faucet. An optional feature of the class (weather permitting) will be a field trip to a Master Gardener’s home garden to view the setup of a rain water / drip irrigation system. The Master Gardener Class series has proved to be popular, so reserve your seat now! This class is limited to 20 participants and pre-registration is required. A minimum number of participants must be paid and pre-registered by 5:00 p.m. Wednesday, February 8. The class will be cancelled and money refunded if not enough participants have paid and pre-registered. A confirmation email will be sent to the registered class members by February 9. NOTE: Due to the limited space, please do not bring children to the class. Arrange for childcare prior to registering.